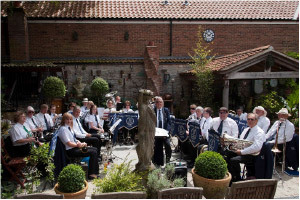 The Burtle Silver Band is a friendly and family orientated brass band, whose players are drawn from Burtle and the wider Somerset area. We are always pleased to hear from players of any age, background and ability who wish to join us. We are not a contesting band, but prefer to play for the community at events such as fetes, festivals and local concerts. 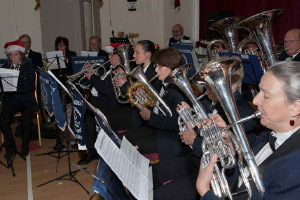 Burtle Silver Band are giving an Open Rehearsal on Thursday 27th April in Burtle Village Hall - 7.45pm start. 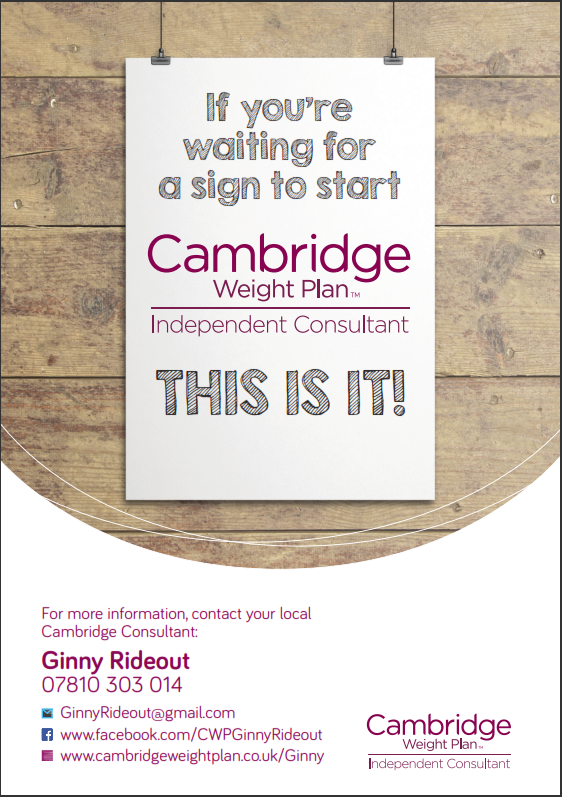 Polden Post readers are warmly invited. 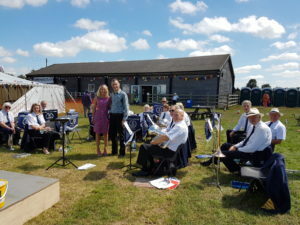 We practise until 9.30pm and you would be welcome to spend as little or as much time as you wish listening to the band as we prepare for the forthcoming summer season. 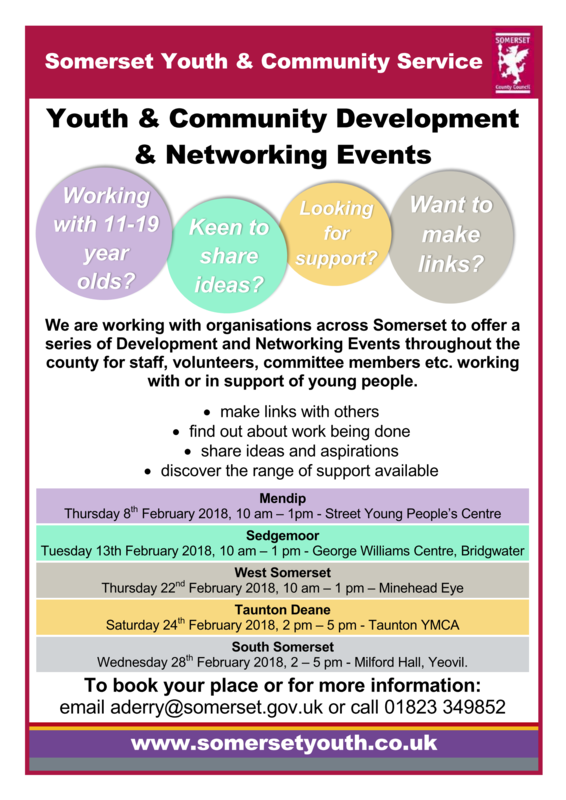 Afterwards we will be serving tea and biscuits and there will be time to meet band members, find out more about the band and even to have a go on an instrument. 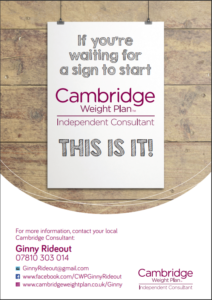 There's no charge - we'd just be delighted to have you there. 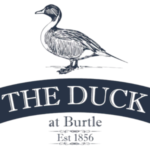 The Burtle Silver Band again adopted the Dorset and Somerset Air Ambulance as their chosen charity for 2016. 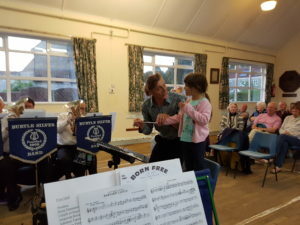 The main focus for the fundraising was the ever popular joint concert with the Edington Village Voices Choir, lead by Roz Dolding and Bridgwater's Westfield Church Sing Sankey. 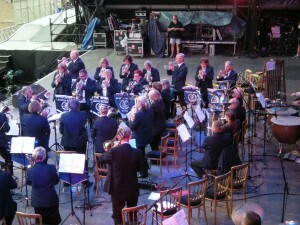 The money raised at these events was supplemented by collections made throughout the summer when the band played on bandstands and at fetes throughout the county and beyond. 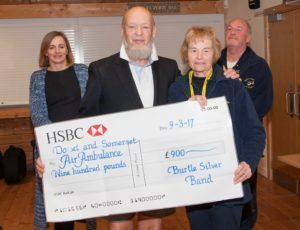 On Thursday 9th March Michael Eavis, the band's President, and Sandra Healey, the band's Chairperson presented Colin Thomas and Anita Townsend from the Dorset and Somerset Air Ambulance with a cheque for £900. 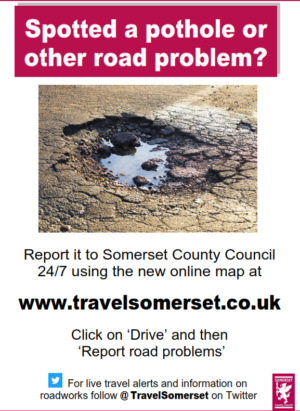 The operational costs of the Dorset and Somerset Air Ambulance are over £2 million per year with each mission costing approximately £2,500. With public support, such as the fundraising carried out by the Burtle Band, Village Voices Choir and Westfield Church's Sing Sankey, The Dorset and Somerset Air Ambulance can continue to help save lives across the two counties.